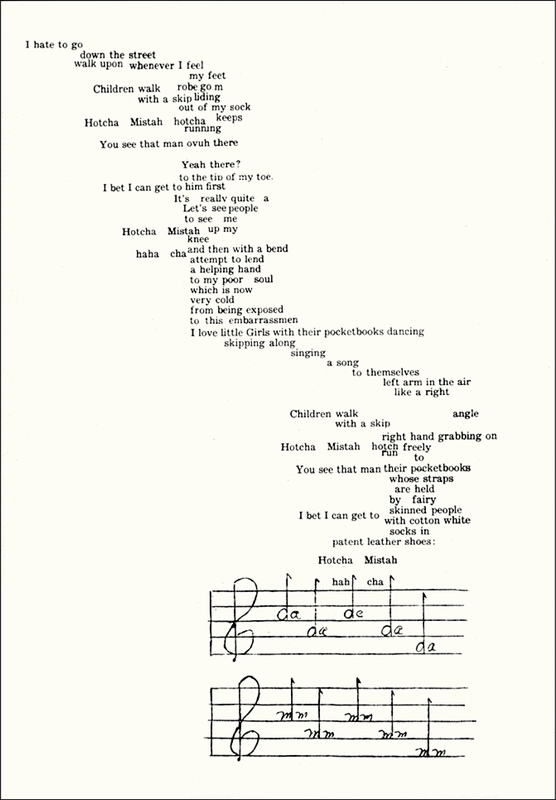 From a 1993 feature article by design historian Philip Meggs in Print Magazine, entitled, Performing Art: Warren Lehrer’s Books Fill The Printed Page With Sound and Movement. This excerpt (from page one of the nine page article) discusses Lehrer’s origins, early work and influences. 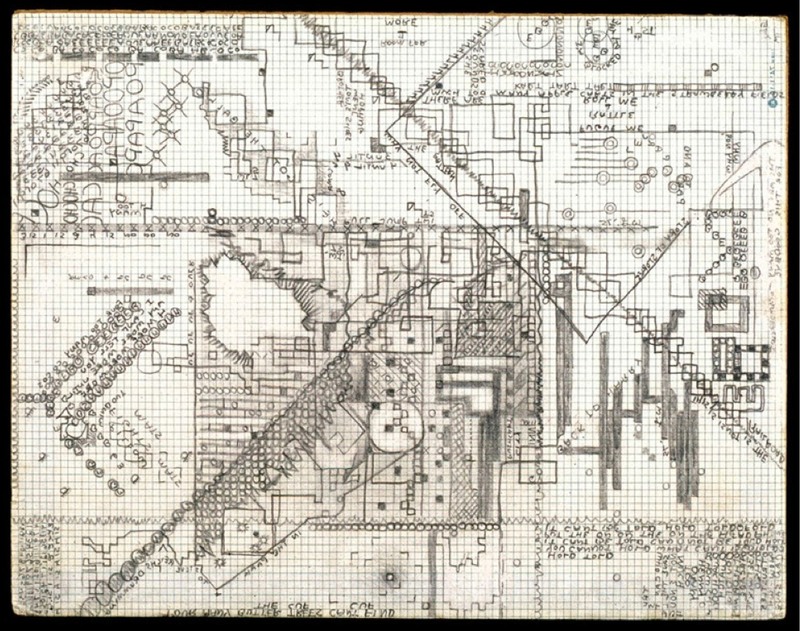 “…Similar characteristics emerged in Lehrer’s pre-computer books as he struggled to achieve innovative ways to give interpretive visual form to the content of his manuscripts. Lehrer, the son of an electrical-engineer father and elementary-school-teacher mother, received an ordinary middle-class up-bringing in Queens, New York. As a child, he developed a rich imaginary world, creating scenarios for his puppet collection and secret dolls that his parents knew nothing about. His mother recalls how Lehrer would set his puppets on chairs and conduct them in his original music, using a piece of uncooked spaghetti as a baton. 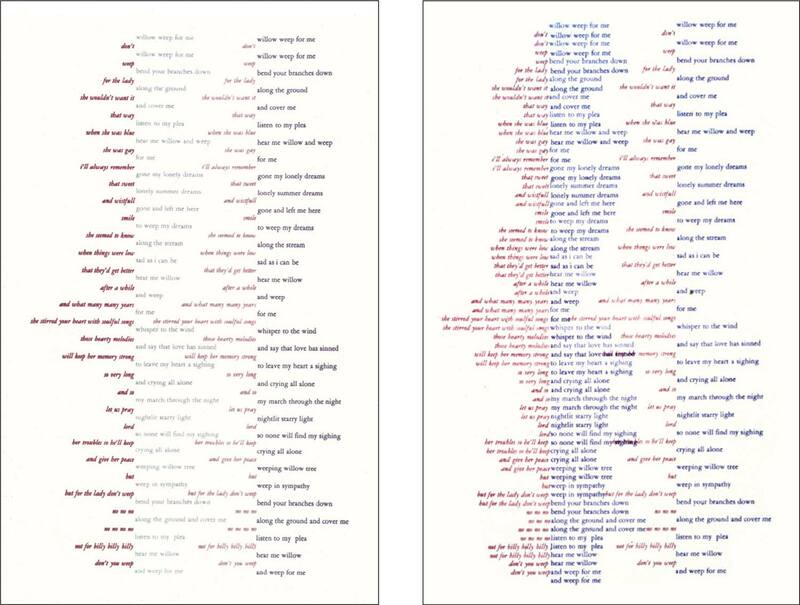 Lehrer’s involvement in experimental page design emerged in elementary school, when he began to write long letters filling every inch of the page, with words spiraling around and around into a dense central vortex or running along the edges, forcing readers to figure out where to read next. After being declared a visual-arts prodigy as a pre-schooler, Lehrer, from age 5 till 11, was hauled to art classes in the basement of a neighborhood Lutheran church. Then he rebelled against art and dropped it for music. Playing guitar, piano, and percussion, he embraced music for the joy of experiencing it rather than to perform in bands. During his freshman year at Queens College (part of the City University of New York), Lehrer took a course in 20th-century art and decided to change his major. 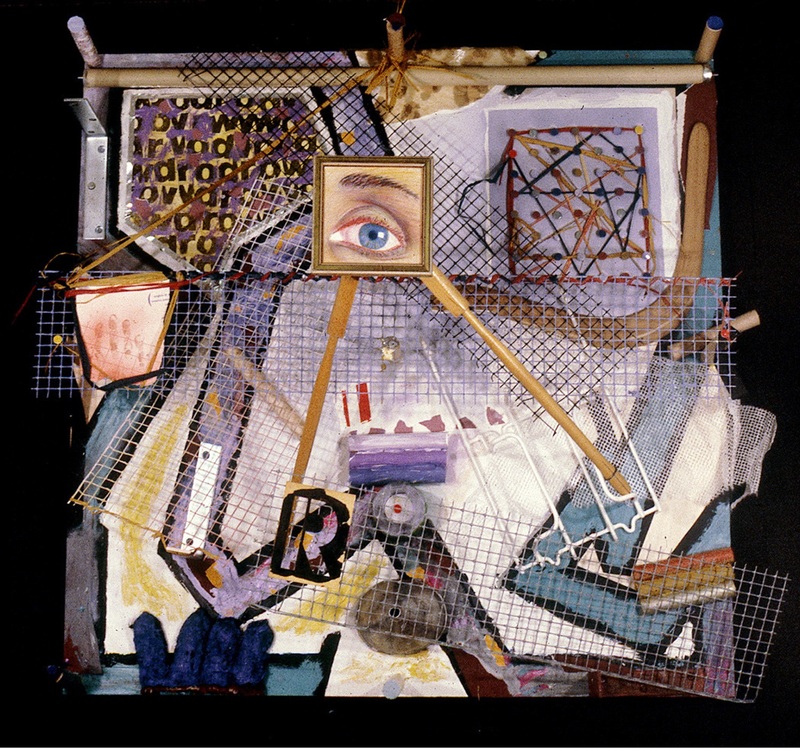 Queens College did not have a design program, and Lehrer majored in painting. Much of his work involved time-based media, including scrolls, animation, and book formats. 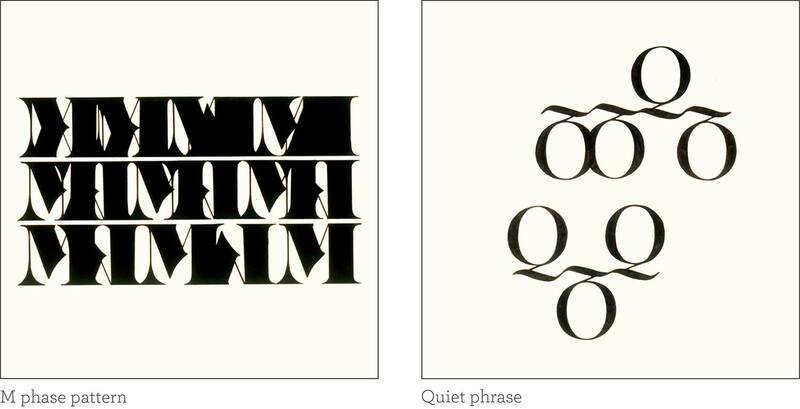 He created a secret series of over 100 drawings combining letterforms and words with drawing marks, then finally decided to show them to one of his teachers. After looking through the stack of drawings, the teacher wagged his finger in Lehrer’s face and said, “You’re barking up the wrong tree. Writing and drawing are two different worlds, and you should never use them together!” Lehrer remembers leaving the faculty office with a sense of mission, taking the professor’s admonition as a challenge to prove that words could be combined into visual art. The book-art medium appealed to him because people could afford to purchase books, which bypassed the world of galleries and museums by going directly into the hands and laps of their intended audience. “I was a painting and printmaking major in college. On the side I wrote music and theater reviews for the school newspaper, and poetry and short stories for myself. One day I brought a stack of secret drawings to a painting teacher of mine. The intricate, puzzle-like drawings combined abstract marks, shading, letterforms and words. Leafing through the stack, my teacher shook his head and wagged his finger in my face. ‘You’re a good student, Warren, but you’re barking up the wrong tree here. Words and pictures are two different languages. They operate from completely different parts of the brain, and shouldn’t be combined.’ I left his office feeling like I’d been given a mission in life. And for better or worse I’ve been combining writing and picture-making ever since.” The drawing above, is from the secret stack Warren showed his painting teacher. 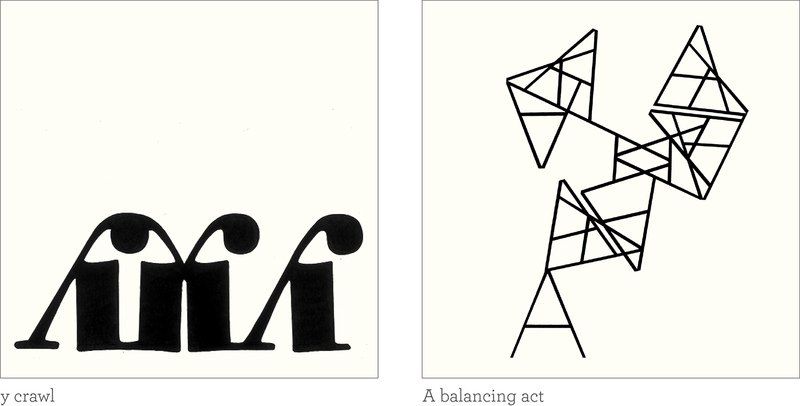 A few postcards, doodles—from 1960s and on up—that hint at a juncture between writing and drawing. 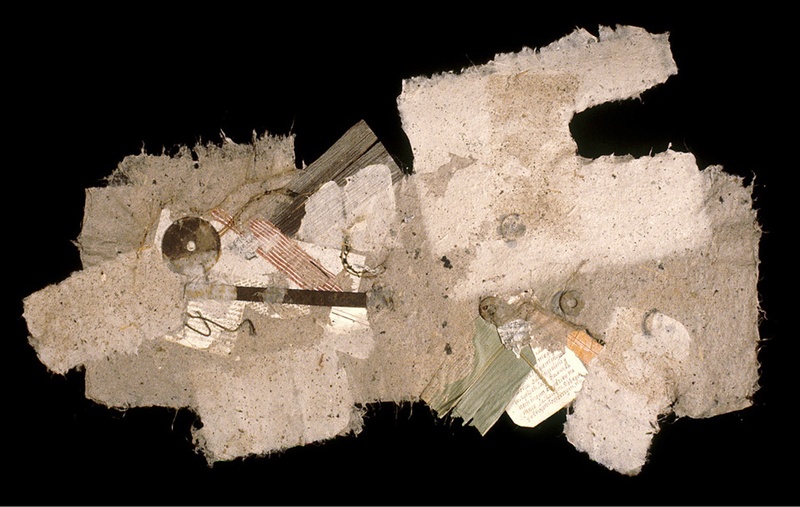 Two handmade paper pieces from the “Rhapsotea” suite,” 1979. Hand-lettered, one of a kind alphabet book, 1977. Twelve inch square leaves in clamshell box. 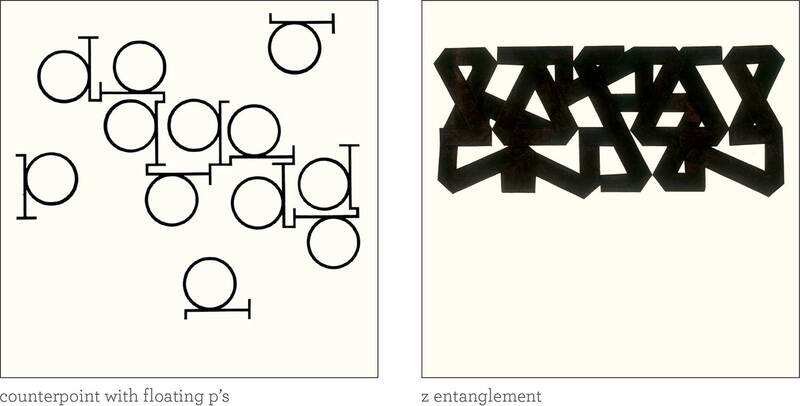 Each composition based on a different typographic character Lehrer found in his first type specimen book. 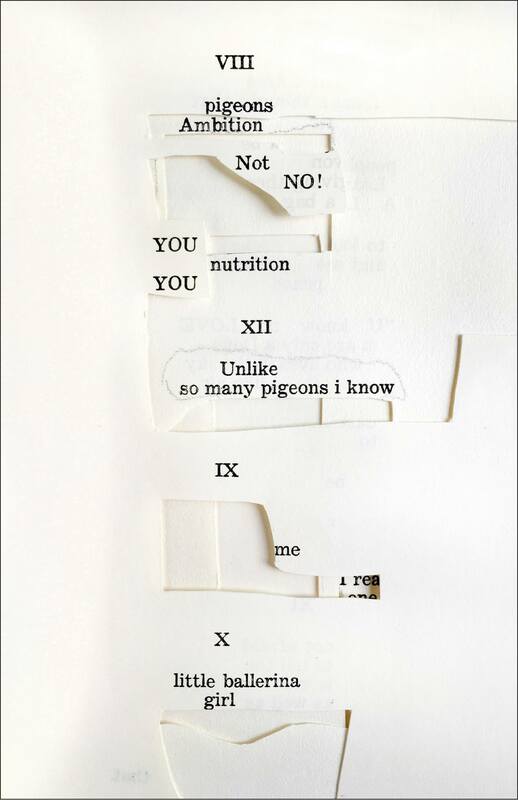 Two pages from limited edition letterpress printed book, Willow Weep, Don’t, 1978. Printed in two colors on mylar. 18”x30” x 10 pages. 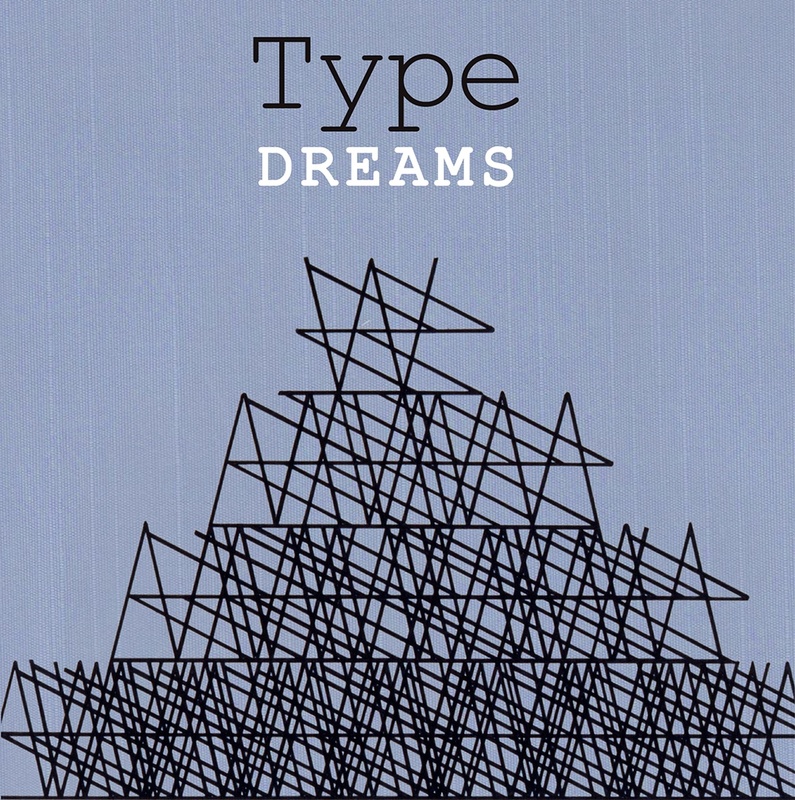 One of a series of books where Lehrer combined two songs (now known as mashup) in various typographic arrangements, on transluscent mylar. Willow Weep, Don’t, combined the lyrics of Willow Weep for Me, a song made famous by Billy Holiday, with Don’t Weep for the Lady, a song written about Lady Day, after she died. These books are no longer available for sale. 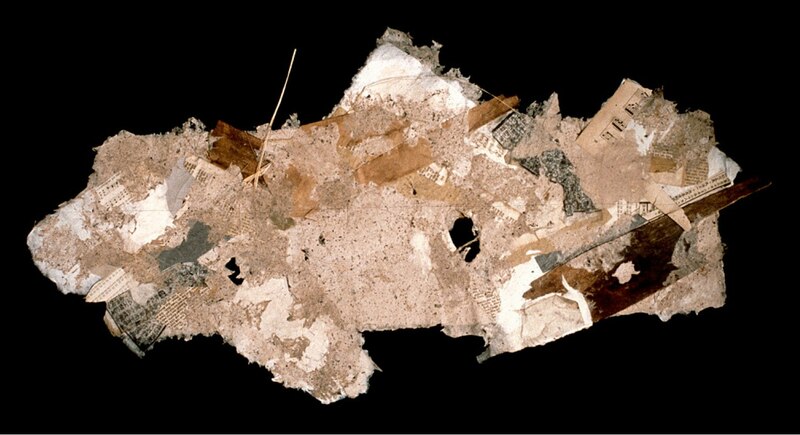 Assemblage/painting. Made sometime in the early 1980s. Oems, 1978. 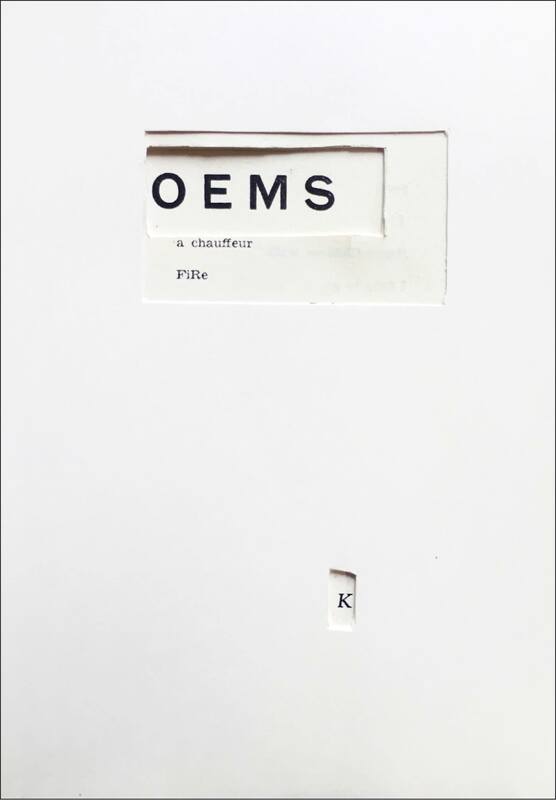 One of a kind altered book of oems made by cutting into a book of poems by Frederick Lawrence Kramer.